In Malawi, due to the country's health problems, the average life expectancy is just 42 years of age, meaning children dominate the landscape. 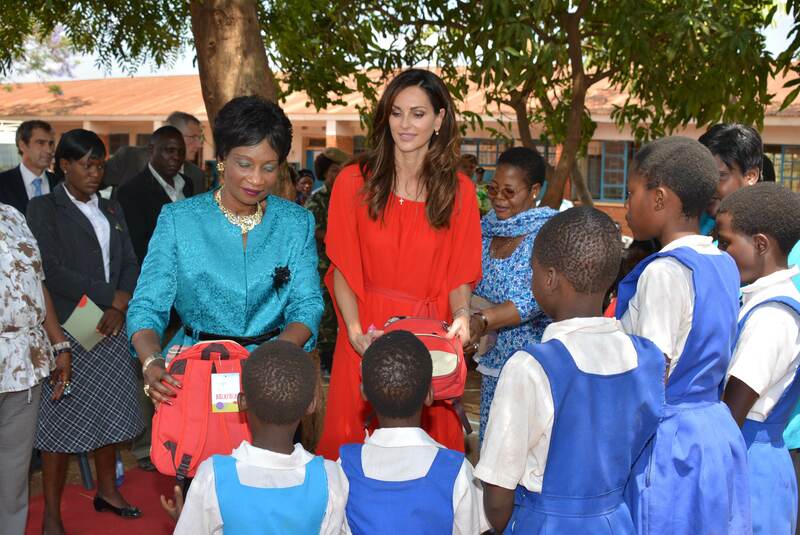 The country's First Lady walks alongside Tasha de Vasconcelos during her visit and shakes her head... "Young girls are often forced to leave school at the age of eight to start working in the home, or to go to fetch water. Many become pregnant in their early teens." 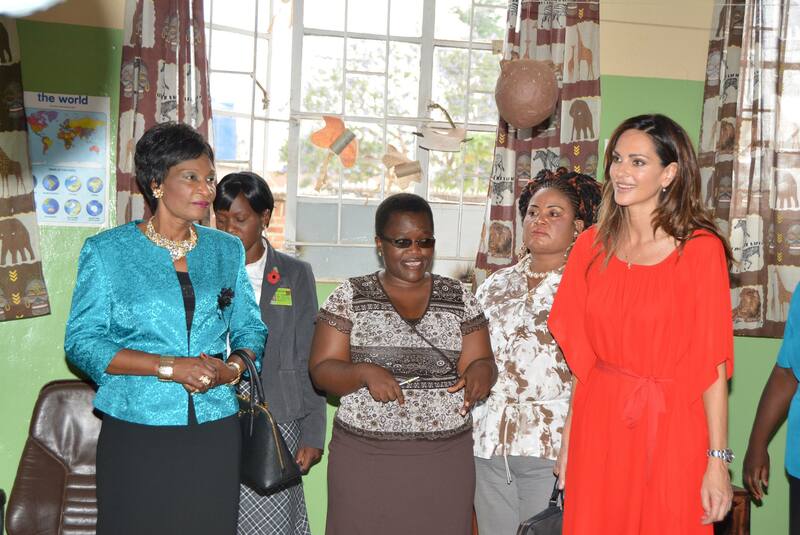 To promote the "Say NO" campaign, Tasha de Vasconcelos and Ms Mutharika have been visiting schools to encourage girls to stay in education, but the task is difficult. The long walk for most means they are vulnerable to sexual and other attacks. "We are determined to change these intolerable things," insists Tasha de Vasconcelos. "We have launched the Say NO campaign to give the girls the courage and strength to say NO and to stand up for themselves ... to give them a voice and courage to stay in school. It is a massive task and we have to work against many generations and practices. It won't happen overnight, but the change is coming and we are making a difference. With a strong health system and education we will have a dream of a stronger Africa and a stronger world." 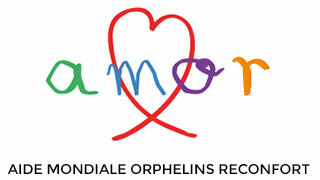 The "Say NO" campaign is just part of the greater efforts by AMOR, the charity founded by Tasha de Vasconcelos several years ago, which has already built three maternity hospitals in Malawi, with a fourth due to come online in coming months. There are many factors that contribute to poor girls' education in Malawi- The paper looks at the education levels from primary to tertiary educational levels ie.basic and primary education, secondary education, University and vocational levels. Most of the factors are generic but may be prominent in some levels of education than others hence the categorization as to basic and primary education, secondary, University and then vocational education. The government of Malawi is aware of these factors and efforts are being put in place to address them. In Malawi, studies reveal that cultural practices serve as hindrance to girl-child education and that inaccessibility of the girl-child to education makes her vulnerable to diseases such as HIV/AIDS, early marriage, denial of rights and child labour. lt is believed that if a girl-child education is fostered, she will be self-reliant, adequately socialize and well empowered to contribute meaningfully to her community as well as having the coping skills to problems solving to an appreciable extent. The country's population has 52 % women which call for an attention to the greater proportion of the population which should begin with the girl child education. The education system in Malawi allows girls to compete at the same level with their boys counterparts but several factors come into play when we compare the two.